9 pieces. 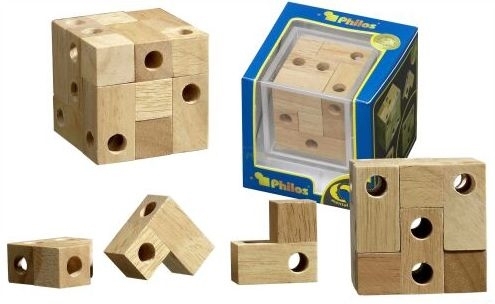 Arrange the pieces that way that you could look through each hole of the cube. Design: Georg Pfaeffinger. Size: 57 x 57 x 65 mm.